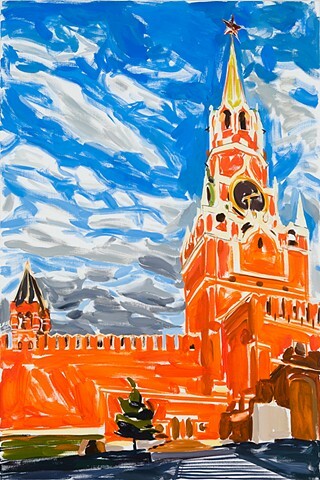 In Russian gay argot, "pleshka" is a cruising ground. 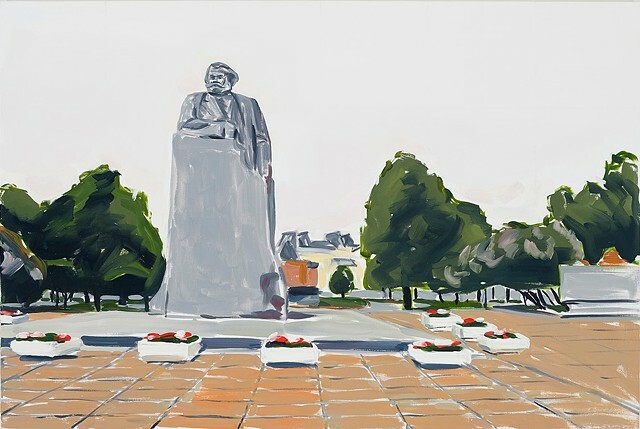 Pleshkas of the Revolution is a series of oil-on-canvas cityscapes. 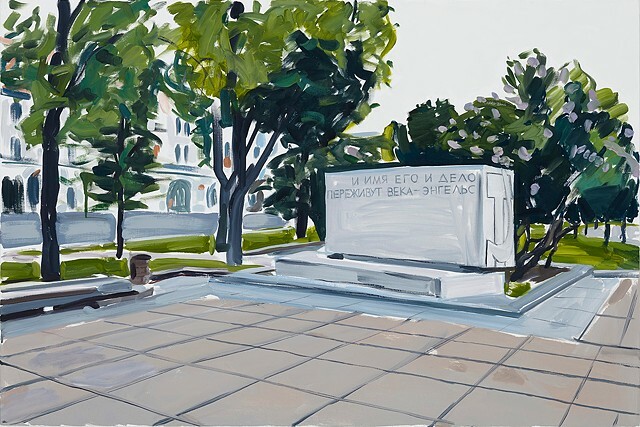 The series features Moscow's ideologically-charged Communist and Soviet-state sites. All functioned as covert gay cruising grounds during the Soviet era between 1934 and 1993--the years when homosexuality was criminalized in the country. 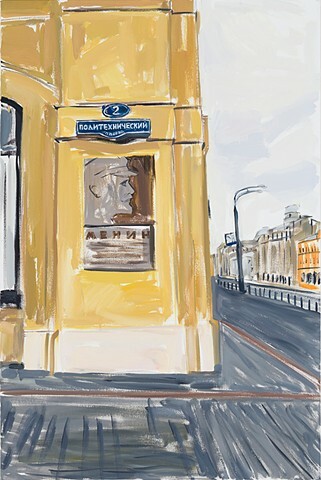 These sites include the Central Lenin Museum, the Sverdlov Square, Alexandrovsky Gardens, and others. 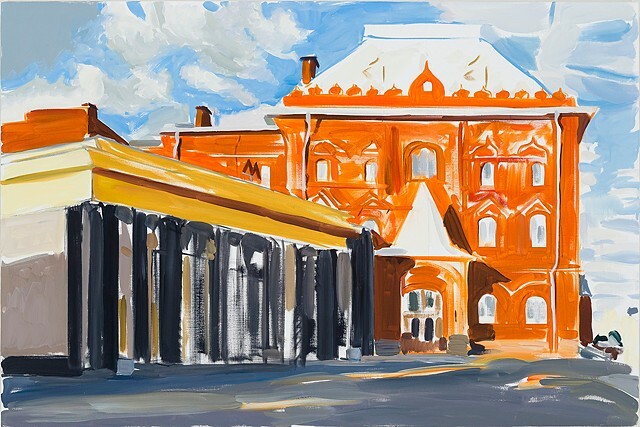 Painted in the style of the semi-official Soviet realistic painting, these cityscapes, trace Moscow's repressed queer history and attempt to carve a space for its (non)representation within the narrative of Soviet visual culture. 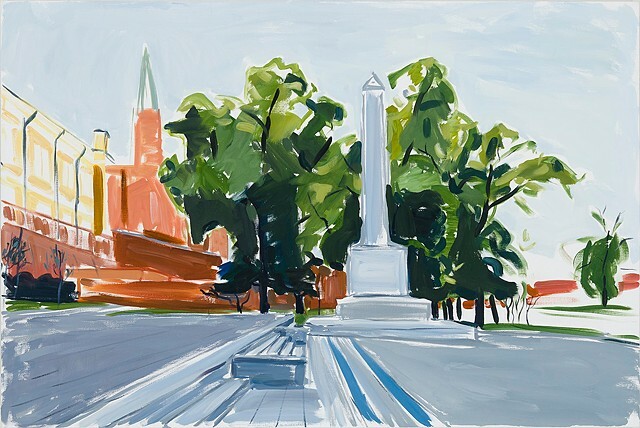 These Moscow cityscapes posit themselves as the counter-monuments to the city's queer past and Soviet art. On the surface, these paintings are banal, without any clues of sexual "deviance" or political agenda on the level of visual representation. 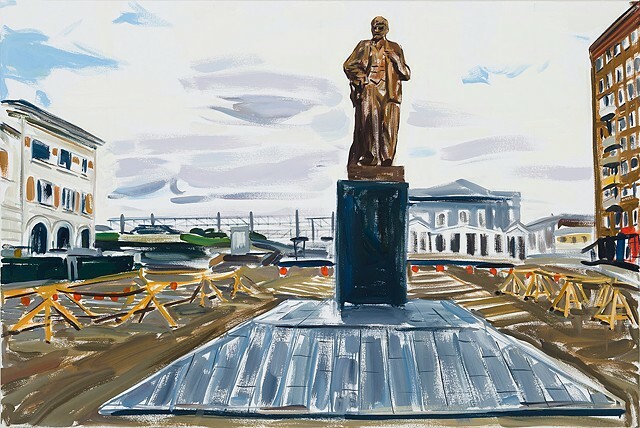 These paintings could have passed for acceptable examples of proper Soviet art between 1934-1993 if without knowledge of the artist's intent to focus on queer histories of these sites. 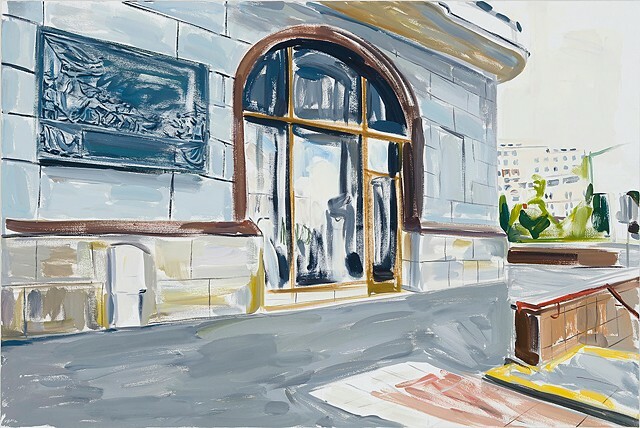 Presented as empty spaces devoid of human subjects, the paintings create a tension between the familiar Muscovites environs and the "figure of silence" of homosexuality in Soviet culture and art. 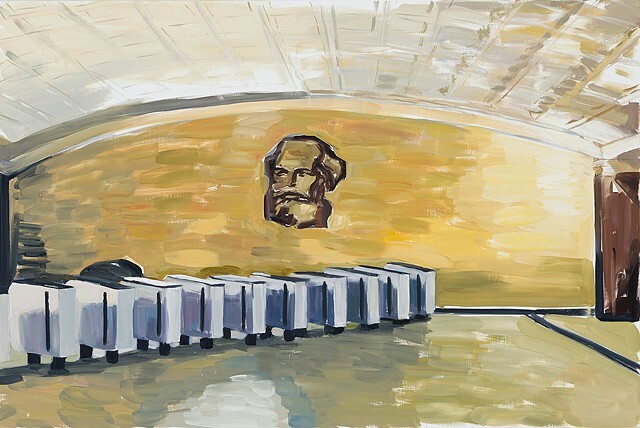 Pleshkas of the Revolution reflects on the (dis)connections between the Russian Revolution's promise of universal liberation and the issue of sexual identity and the narrative of Soviet art.